And Sea will add US$1b to its cash pile to amp up its digital entertainment offerings. Singapore will invest $300m in research for digital innovation as the government transforms the economy through technology. The amount, almost double the current budget, is part of the next phase of the National Research Foundation’s five-year plan ending 2020, Minister for Communications and Information S. Iswaran said during a parliamentary session Monday. It will be used for research in the services and digital economy. “Investment in research and development is essential to help our industries innovate and stay competitive, even as technology rapidly evolves,” he said. It is the city-state’s vision that all businesses, workers and citizens are digitally connected and skilled, he said. 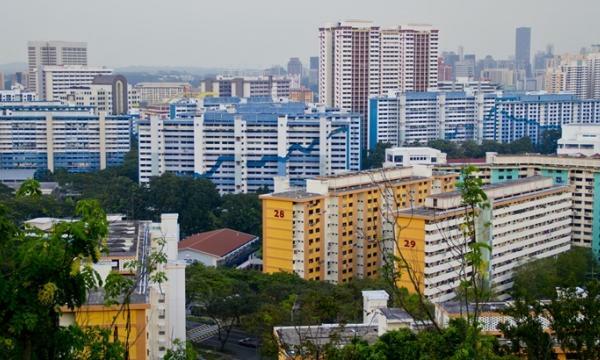 The application rates among singles for two-room flexi flats dropped from a high of 37.6% per flat in 2013 to around 4.2% in 2018. This comes as the annual average supply of two-room flexi flats in non-mature estates has been maintained at about 4,000 from 2014 to 2018. In July 2013, first-timer single buyers aged 35 and above were allowed to purchase new two-room flexi flats within non-mature estates as part of efforts by the government to provide more housing options for such buyers. After a strong 2018, regional internet company Sea Ltd appears to be set to add around US$1b to its cash pile to further escalate competition in the digital entertainment and e-commerce space in Southeast Asia. The NYSE-listed company on Friday unveiled plans for an equity placement offering comprising 50 million American Depository Shares (each representing one Class A ordinary share). Sea said it has the option to increase this placement offering to up to 57.5 million ADS. China’s Tencent Holdings has agreed to purchase US$50m worth of ADS in the offering. Back of the envelope calculations indicate that the company will raise a little over US$1b if one were to assume that the entire offering is taken up at US$21.50 per ADS, the closing price on February 28. The final figure may vary based on the share price.